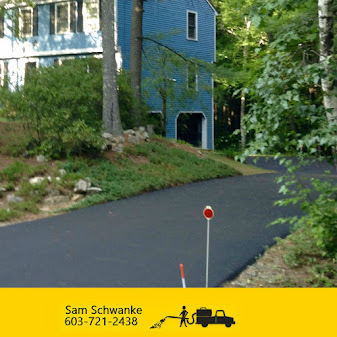 Our Process ~ Seal NH - One Driveway at a time! 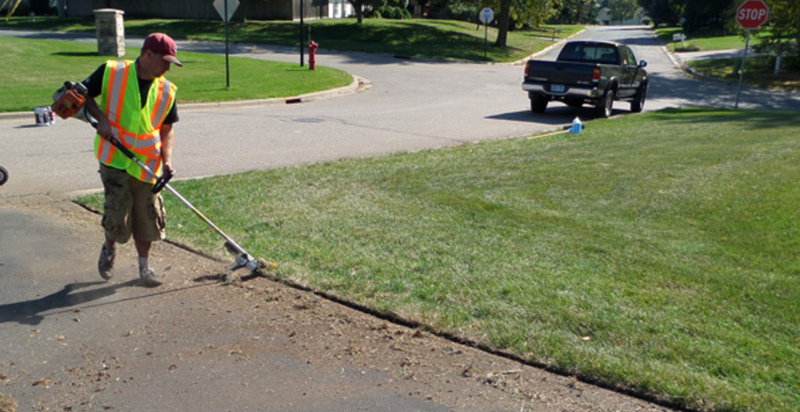 We Start out by putting a straight edge on your driveway. We take care of all the cracks and clean them out with a steal bristle broom. 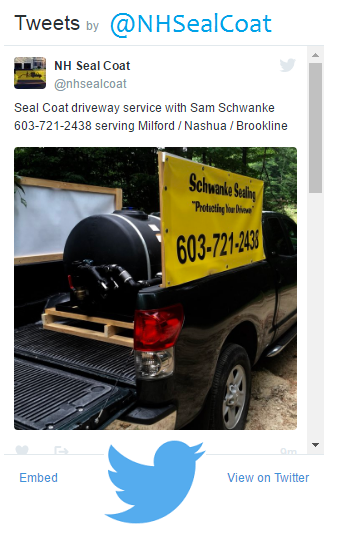 Any oil spots, we clean with an oil stain remover so that the sealant sticks. 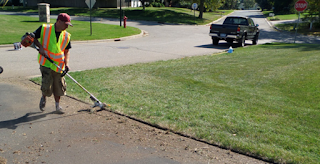 We than finalize the prep work by using a high-power blower to remove all debris. We do all edges around sidewalks and buildings by hand to avoid any overspray from the machine! 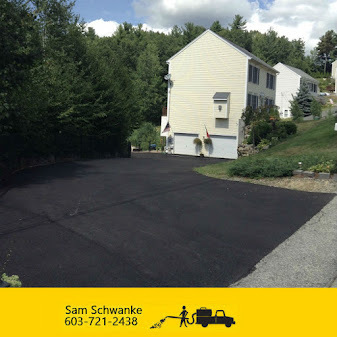 We then sealcoat and overlap each spray to make sure we do not miss any spots! 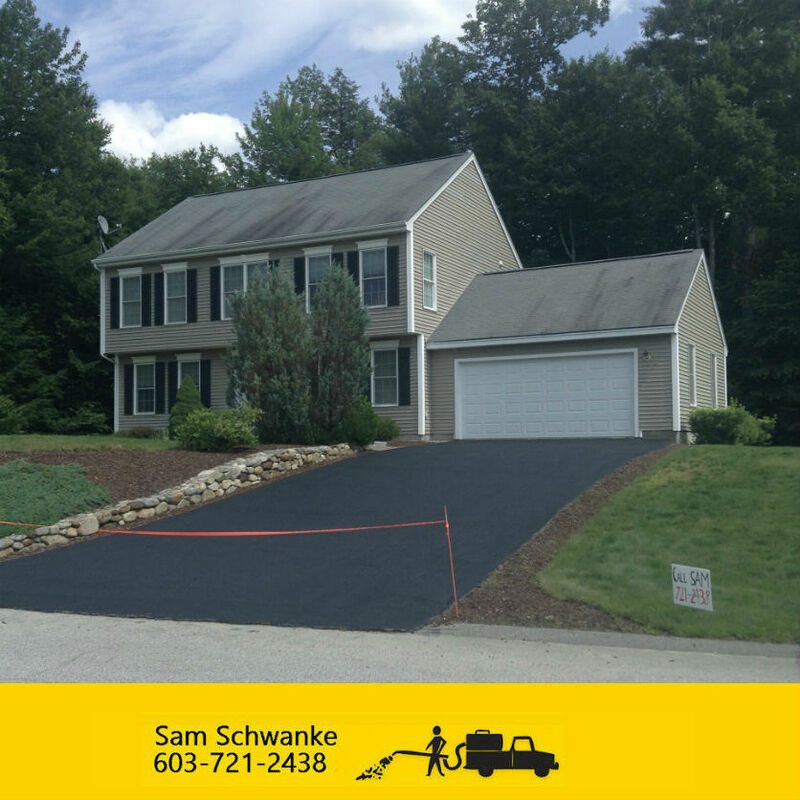 To finalize the process, we tape off the driveway so no one drives on it.